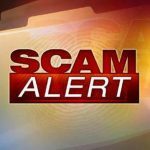 Last Friday, I received a soliciting phone call with a recording that said my Apple product was compromised and told me to either call a number or press a number to get help. The only Apple product I have is a phone from work that isn’t connected to my home phone. Being nosy, I pressed whatever number I was told to and was transferred to a live person who also told me there was a problem w/my Apple product. I asked him if he was an Apple employee and he answered, “Yes.” I asked him which Apple product of mine had a problem, and he told me to go to fastsupport.com, and he will tell me. I hung up. I know a lot of people have an iPhone or a mac laptop so wanted to let y’all know this was happening. I had the same thing happen to me last week, too, but it was an automated recording saying my device had been compromised, call this Apple Security number. I phoned the number and the gentleman answered “Apple Security, and was very engaging/witty. I asked what device and how this happened, so he said to go to my computer so he could pair it with his system so he could check it. As he was talking, I looked up the phone number on the internet, and the postings said this was a scammer — so I yelled at the top of my voice, “YOU’RE THE SCAMMER!” and slammed the phone.